We are well known for our power upgrades, but power needs to be put to the road to be of any use. Tyre-squealing and wheel-spinning waste all that extra power that has been produced. This is where the benefits of a Quaife ATB LSD come into play. The 'Automatic Torque Biasing' (ATB) differential is Quaife's unique patented design, and is an after-market differential that provides smooth, constant traction for racing or slippery road conditions. Suitable as an ideal replacement for any front, rear or four wheel drive application, these ATB differentials have the added benefit of no adverse effect on the steering of a front wheel drive vehicle. Quaife ATB differentials have been used in a wide array of applications, from Formula 1 cars, many areas of motorsport, to car manufacturers' for OE supply, to emergency and public utility vehicles where all weather mobility is essential, and where the product must perform in the most demanding of conditions. 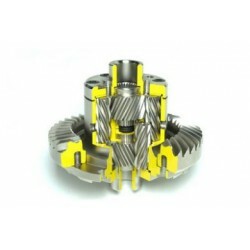 The characteristics of the differential are that it progressively locks as torque increases; there are no plates or clutches to wear out, as the more conventional limited-slip designs incorporate. 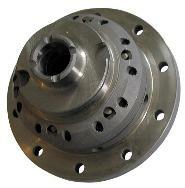 The ATB differential is particularly effective in combating the effects of FWD torque steer and understeer. 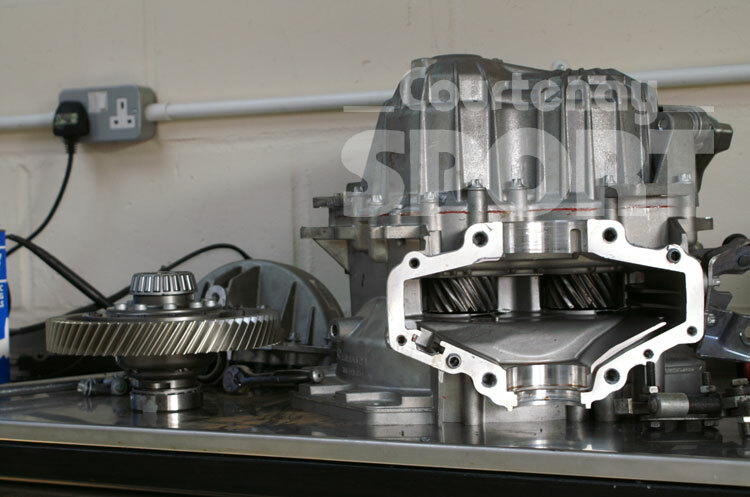 Quaife Engineering also offer their ATB differential with a lifetime warranty [Details Here], as a demonstration of the quality of the product. The Quaife Automatic Torque Biasing Differential enables your car to accelerate quicker and corner faster. How? Simply by getting the power to the ground! The differential powers both drive wheels under nearly all conditions, instead of just one. In cornering, while accelerating out of a turn, the ATB biases greater power to the outside wheel, reducing inside-wheel spin. This allows the driver to begin accelerating earlier, exiting the corner at a higher speed. The differential also controls loss of traction when the drive wheels are on slippery surfaces such as ice and snow or mud, providing the appropriate biased traction needed to overcome these adverse conditions and provides constant and infinitely variable drive. Power is transferred automatically without the use of normal friction pads or plates seen in other limited-slip designs. The Quaife ATB differential's unique design offers maximum traction, improves handling and steering, and puts the power where it is needed most. A definite advantage, whether you are on the track or on the street. 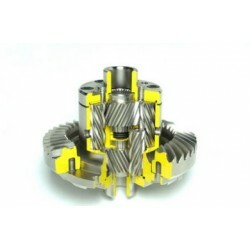 The ATB differential is extremely strong and durable, and since it is gear-operated, it has no plates or clutches that can wear out and need costly and regular replacement. There is no maintenance required to the unit, so once installed the unit can be forgotten, apart from the better road responses. It is great for street driving or racing. Racers don't have to put up with locking mechanisms or spools that tear the steering wheel out of their hands when cornering. Because it behaves like an open differential during ordinary driving, street drivers will have trouble telling it's there until pushing the cars towards its limits. The effect of fitting an LSD to a road car is quite dramatic. As a rough guide you can usually expect to trim half a second off your 0-60mph time making an otherwise standard car noticeably quicker than one without an LSD. Also the driver will notice that the car is far more willing to turn into a corner under power and will accelerate out far more readily with much improved traction. 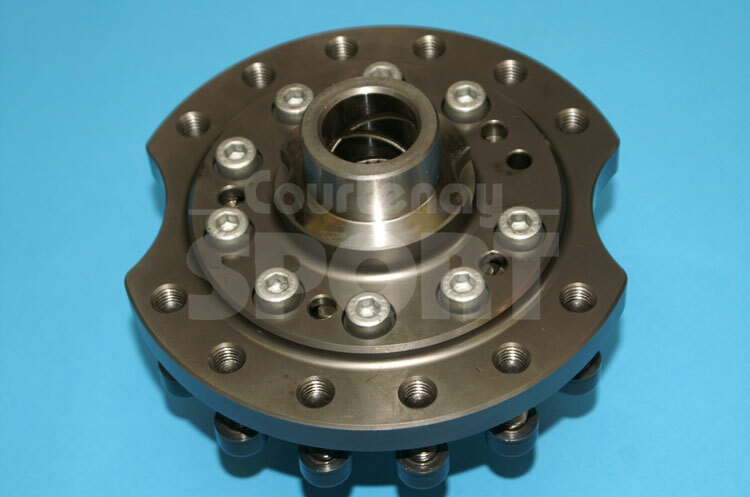 Now available from Courtenay Sport, the Quaife ATB differential for M32 gearboxes. A direct replacement for the standard Vauxhall differential, the Quaife ATB differential transforms your car's performance, making getting the power down onto the road easier, for improved traction and driveability. Unlike a conventional plate-style limited slip differential, the ATB diff relies on gears rather than clutch plates for its operation. That means it is much smoother in operation. Because of this, the ATB differential never locks harshly with a set pre-load of wheel slip across the driven axle, like a conventional LSD. Rather, the differential automatically biases the torque away from the spinning wheel across the axle, to a constantly varying degree, and never locks. 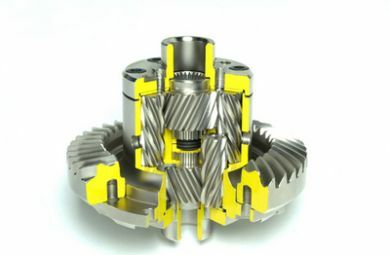 The Quaife ATB differential has many benefits over a standard open differential, including maximising traction and minimizing wheelspin, eliminating torque steer and snatching in front wheel drive cars compared to conventional LSD units, and a maintenance-free design which retains the standard oil lubrication. In House Fitting Available (with gearbox in situ). * Note: M32 LSD's will require additional diff bearings to allow fitment which we can supply. 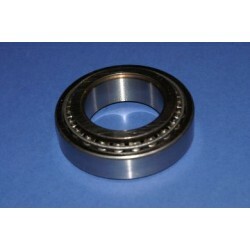 F23 and F40 Outer Diff Bearings Also Available. Please call us with any queries or for LSD's not listed for online purchase. 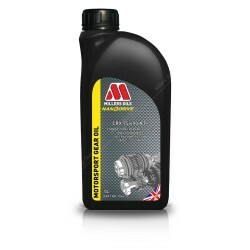 For manual gearboxes used in Vauxhall/Opel applications, such as the M32/F23/F40/F20/F28, we recommend a change to a fully synthetic gearbox oil for all manual transmissions that are in good condition. This applies to standard gearboxes and those fitted with a limited slip differential. Quaife ATB LSD for F23 Rear Wheel Drive gearbox for Rear Wheel Drive F23 VX220 / Speedster. (Not Ast.. 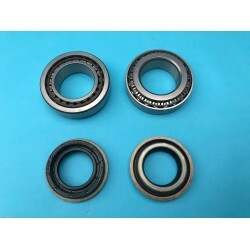 Differential Bearing for F23 gearbox. 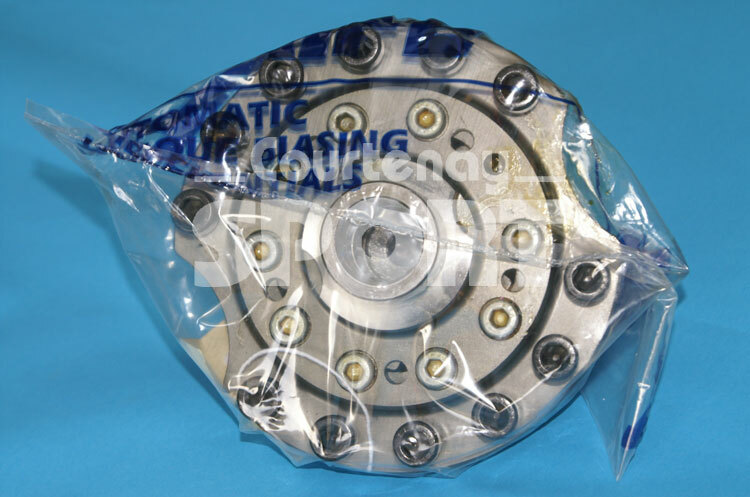 Ideal for install of ATB LSD into F23 gearbox.Genuine Timken B..
Quaife ATB LSD for F40 6 speedgearbox.Suitable for ALL F40 gearbox applications: Vectra C inc VXRMax..
Quaife ATB LSD for for F16/F18/F20/F28 FWD (2WD only)The Quaife Automatic Torque Biasing Differentia..